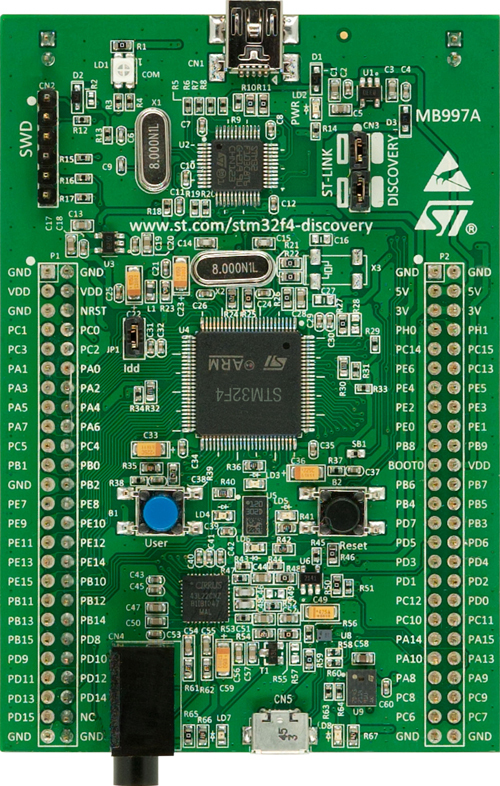 display and more, visit www.st.com/stm32f4dis-expansion. motion sensor to blink the four LEDs according to the motion direction and speed. standard mouse, and board motion controls the PC cursor.